​When looking around the web for answers on what kind of paint you are able to use on stucco exteriors, you will likely get different opinions and after reading many different web pages and you will probably be more confused than you were before you started your research, right? ​This article is going to outline the different paints that you can use on stucco walls, to help clear up some of the confusion out there. This will be just a basic article seeing as how there is so much information out there that will outline some of it. ​What Kind Of Paint Should I Use? Type Of Sheen: There really is only one type of sheen you should be using (in my opinion) for exterior stucco and that is a FLAT SHEEN. This looks the most natural and has no reflection to it at all, making it ideal for a building. Some people like a satin or eggshell sheen on their exteriors but I would recommend this for other siding (lap siding, T-111, etc.) but not stucco. This sheen does protect a little more from staining and the elements because it has a very slight gloss to it, when compared to a flat sheen but tens to make stucco look very plastic in nature. ​Type ​Of Paint: There ​are ​three types of paints that are recommended for stucco and those are an acrylic paint, a masonry paint or an elastomeric type of paint. An oil based paint is not recommended for stucco walls. There is a difference between an elastomeric coating, a masonry paint and an acrylic coating and it should be noted that ​​ALL CAN BE USED. Everyone has there own personal opinion about what type of paint you should use on stucco and they also have a specific brand they prefer as well but the important thing to remember is the fact that ​all three types of paints will work. ​How About Acrylic Paint For Stucco? ​An acrylic paint is usually the type of paint that a lot of stucco contractors will recommend because it has a higher permeability value when compared to an elastomeric product. Permeability is basically the same as breathability so ​using an acrylic paint will be able to breathe better, which is what stucco is supposed to do. An acrylic paint will not last as long as an elastomeric product, so it will have to be repainted every so often but is much less expensive as well. ​What About An Elastomeric Paint? ​An elastomeric paint can also be used on stucco walls but has a much lower permeability rating and does not allow the wall to breathe as easily. An elastomeric product does have the ability to bridge small cracks, which makes it a better choice for some people with a lot of cracks. Elastomeric paint is usually not recommended by stucco contractors but is a product that painters tend to like more but that doesn't mean that it is a bad product. If many people in your area have used an elastomeric product and had success, then it is probably a good choice for your home as well. If you do use an elastomeric paint, remember that it has the ability to stretch so once you apply an elastomeric coat, you should only apply another coat on top of that will stretch like the elastomeric product and is why people recommend applying the same elastomeric product over an existing one. ​Their are some paints out there that are specifically designed for masonry substrates like stucco, concrete, cmu blocks, etc. that is made specifically for these types of surfaces. They have a few additives that make them bond better to the surface, are much more mildew resistant and are more water resistant than your standard acrylic paint. Some can even last for many years, making it a wise investment for some but keep in mind that it is a bit more expensive than a standard exterior grade acrylic paint. 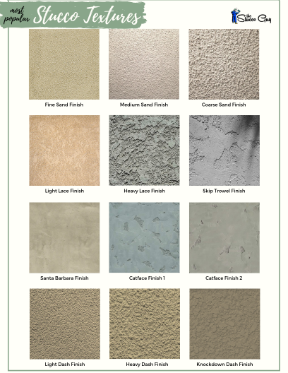 ​Permeability is all about breathability and it essentially the same thing and the permeability rating for stucco finishes and paints will have a value that is referred to as "perms". Generally speaking, any coating that has a rating of 10 perms or higher is considered a breathable coating. So when you look at different paints, you will want to look at their permeability rating to make sure they are breathable. I had a really hard time finding the permeability rating of many different paints when I was conducting my research, so I couldn't post a list of some of the more common brands and their perm rating like I wanted to. Single VS Multiple Coats: Something that a lot of people forget to think about when calculating the permeability of paint products is the fact that a single coat of paint will have a specific "perm rating" for that coat of paint. If your home/building has had multiple coats of paint and you apply another coat, the permeability rating is reduced. It is unclear as to what the exact numbers are due to many variables but it is something to keep in mind.